With millions of websites available to everyone, Top Web Design Companies create the webpage that shines among others. If you already have a website but you aren’t convinced with the current result, we would recommend navigating among the Best Web Design Agencies in this worldwide directory. You can get an idea of their expertise thanks to Top Web Design Companies reviews. Undecisive in which Top Web Design Company you should get for your web project? There is no correct answer to that question. The first thing you should decide is whether you want to get your local team for the web design project or an overseas company. Choosing the Best Web Design Agency also requires you to choose the best location and, of course, the most impressive and a budget according to the project. Another way to decide which is the most appropriate Top Web Design Company is reading their previous web design projects and the Best Web Design Agencies reviews which will help in getting a better idea of the experience of the designers' team. Reading their reviews will be very helpful when deciding which is the Top Web Design Company to go to, after some consideration. Checking the portfolios on each of the Best Web Design Agencies is really important before making up your mind. It will help you to see their previous works and their web design style. Some designs, depending on the culture of each company, change drastically compared to other Top Web Design Companies around the globe. 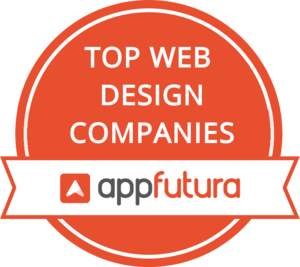 After these considerations, if your mind isn’t made up among the hundreds of Top Web Design Companies that AppFutura has in its directory, get in touch with the team. The team will be more than happy to assist and to recommend some Best Web Design Agencies to work on your project.